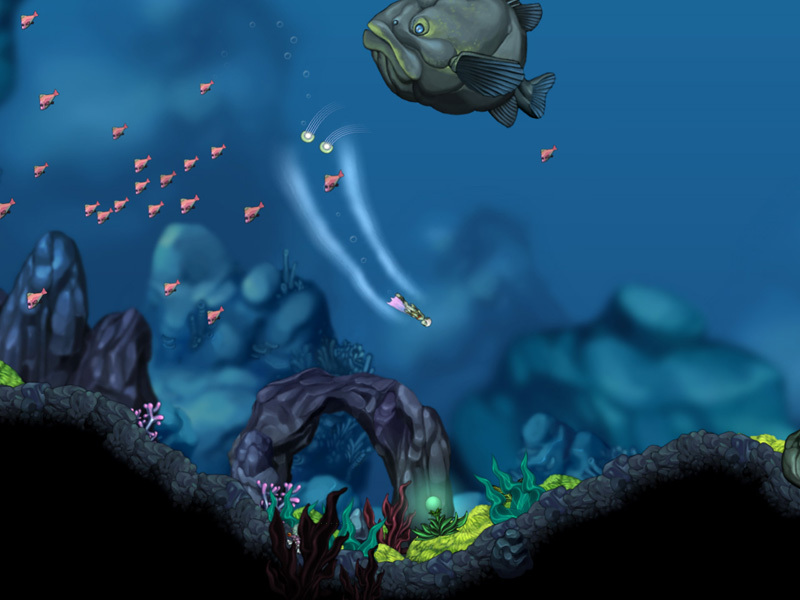 I just finished playing the demo for the new game Aquaria. It's an independent studio game available at bit-blot.com, and honestly it is FANTASTIC. In no way did I expect something this lovely. It's the most relaxing action game I've played in many many years. If I had to compare it to an existing game, I'd say cross its gameplay style between Symphony of the Night and Ecco the Dolphin and you'd have roughly what this game has in play-style. Immersive, great music, beautiful graphics. The only complaint I have is that the lines for your character are a bit on the cheesy side. Plays beautifully. The links below are for the trailers. The demo is available for free at their site (about 1 hour 15 min play-time for the demo), and the game itself is available at the site as well for $30. Current estimates place the full game at 15-25 hours of gameplay, depending on how much you do hunting down the extras and secrets. In the demo alone there are a ton of secrets, and in the real game significantly more. The graphics are artsy indeed, but I found that the gameplay was fantastic anyway. Even though they concentrated on making the graphics look kinda like they were painted in some places, they didn't skimp out on the rest of the game. Looks a bit like Odin Sphere, TBH.